I have just returned from Bring IT Together, this year’s ECOO conference that was held in Niagara Falls. I really don’t know where to start or how to describe the amazing learning and sharing that took place at this conference. I have met some incredible people, many whom I have been following on Twitter and was able to have some face-to-face time talking and learning with them. I have also made 26 new connections which, thanks to Twitter, will only grow stronger with time. I was inspired by the keynotes and presentations of many of my colleagues. 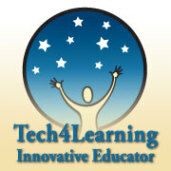 I learned of many new programs and tools I can now utilize in my school to help kids learn. I also got a ton of new ideas on how to incorporate technology into lessons in order to make learning more meaningful to students. One of those is making a “We Can See” book that I was inspired to create based on my experience at ECOO13. It was from a workshop I attended presented by Angie Harrison and Jocelyn Schmidt entitled “We can see…all around the world”. “@melindak: @TechMagFront Great examples + Pixie & Frames free for educators in Ontario = classroom fun! #ecoo13” lots of great examples! Awesome presentation at #ecoo13 Project Ideas for Fostering Creativity by @TechMagFront So many great ideas! @TechMagFront Thanks for sharing today, Magdalena. I took away some good ideas to try out with my students. 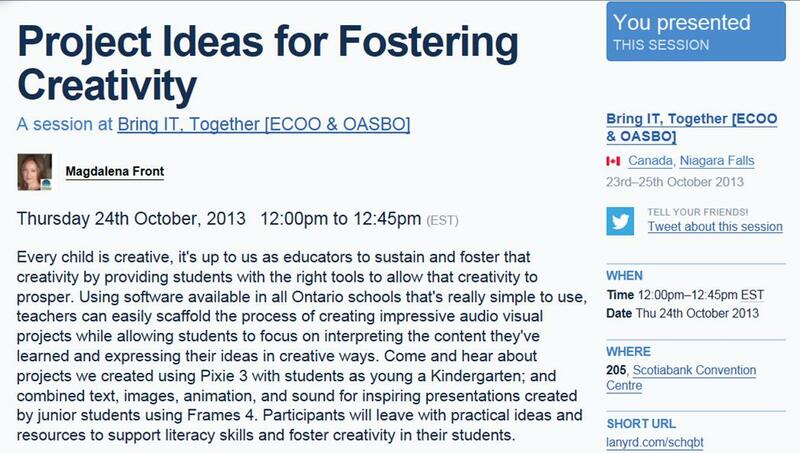 Posted on October 27, 2013, in Digital Stories, Ed Tech and tagged ECOO13, photo book, recount. Bookmark the permalink. Leave a comment. The Student or the Lesson Plan?